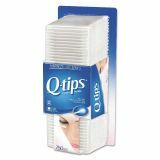 The ultimate home, office and beauty tool. 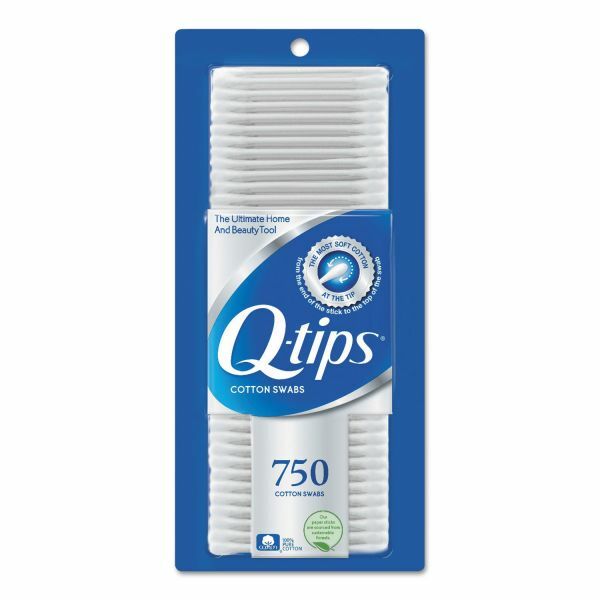 With pure and soft cotton at the tip (from the end of the stick to the top of the swab) and a gently flexible stick, Q-tips cotton swabs are perfect for a variety of uses. Different uses include beauty (apply or remove eyeliner and eye-shadow), baby care (delicately care for sensitive areas), home and electronics (clean and dust hard-to-reach spaces), first aid (gently apply ointments and creams), arts/crafts, pet care, painting, care detailing, model building and more. 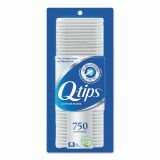 Q-tips Cotton Swabs, 750/Pack, 12/Carton - With pure and soft cotton at the tip (from the end of the stick to the top of the swab) and a gently flexible stick, Q-tips cotton swabs are perfect for a variety of uses. Different uses include beauty (apply or remove eyeliner and eye-shadow), baby care (delicately care for sensitive areas), home and electronics (clean and dust hard-to-reach spaces), first aid (gently apply ointments and creams), arts/crafts, pet care, painting, care detailing, model building and more.